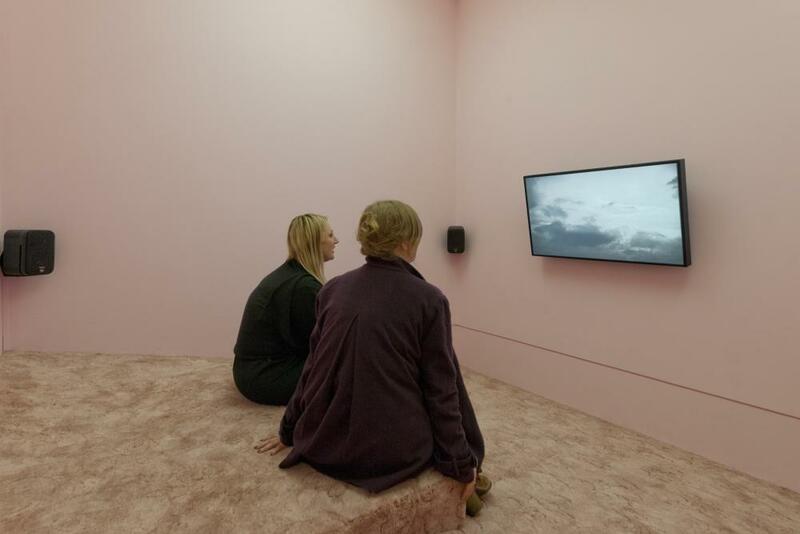 Installation view of Farfromwords: car mirrors eat raspberries when swimming through the sun, to swallow sweet smells at the Whitechapel Gallery, London, for the Max Mara Art Prize for Women, in collaboration with the Whitechapel Gallery, 2013. 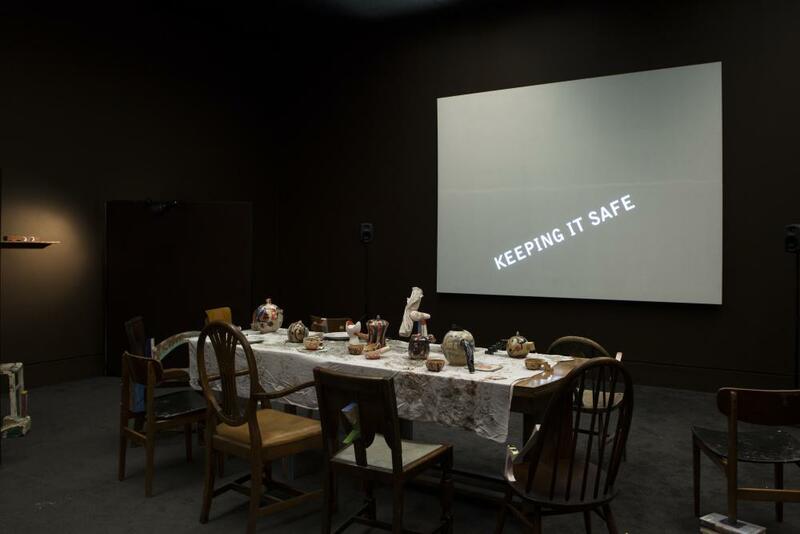 Laure Prouvost is known for films and installations characterised by richly layered stories, translation, and surreal moments. Her seductive and disorienting tales toy with the audience’s ability to become fully absorbed by a single narrative. Her unconventional approach to text, montage, cinematic conventions, and imagery create a distinct visual language that is engaged in an ongoing conversation with the history of art and literature. Prouvost is nominated for her new work Wantee commissioned by Grizedale Arts and Tate for inclusion in the exhibition Schwitters in Britain at Tate Britain, and for her two-part installation Farfromwords made for the Max Mara Art Prize for Women, resulting from a residency in Italy and presented in collaboration with the Whitechapel Gallery. Laure Prouvost was born in Croix-Lille, France, in 1978. She studied at Goldsmiths College and Central St Martins, London. Her recent solo presentations include the Max Mara Art Prize for Women, Whitechapel Gallery, London, and Collezione Maramotti, Reggio Emilia (2013); Schwitters in Britain, Tate Britain, London (2013); Why Does Gregor Never Ring? Shut Your Lips, Somewhere Under That Bridge Lies the whole Truth (The Wanderer Sequence 5), MOTINTERNATIONAL, London (2012); and Frieze Projects, Frieze Art Fair, London (2011). Her numerous group exhibitions include 12th Biennale de Lyon, Meanwhile... 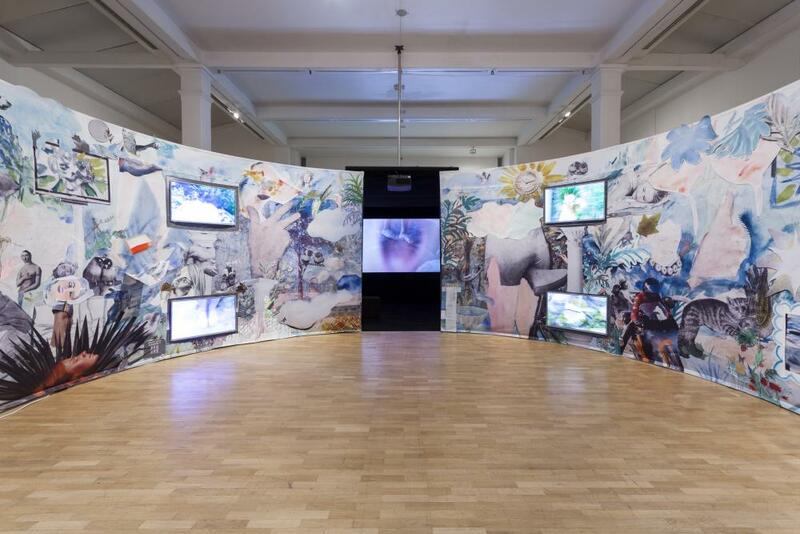 Suddenly and Then, Lyon (2013); Soundworks, ICA, London (2012); Time Again, Sculpture Center, New York (2011); and Flaca, Portikus, Frankfurt (2011). In 2011, she received the Max Mara Art Prize for Women and in 2009 the EAST International Award in Norwich, UK.